The old adage, it’s not the size of it but what you do with it that counts, normally doesn’t really apply when it comes to power tools and different gadgets to help you in the construction industry, engineering industry or when you are just doing so home DIY. However, the clever brains at Bosch Power Tools have come up with something that is small enough to fit comfortably in your pocket, still function precisely and buck the trend that bigger automatically means better. 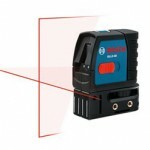 This amazing little product is the GLM 15 50ft Laser Measure. The most noticeable advantage that the GLM 15 50-ft Laser Measure has over other laser measures is the fact that it is small enough to slip into your pocket and can be carried anywhere without having to constantly carry it in your hand. It is also small enough that you only need one hand to operate it, so if you have to hold something steady with the other hand, you can still use the laser measure. This does mean that you can manage your man power better, if only marginally; because tasks that once needed two people, now only need one. The Bosch GLM 15 50ft Laser Measure, as its name suggests, can measure distances of up to 50ft with a simple touch of the button. It’s programmed to provide instant continuous measurement, which makes it extremely easy to use, even if you have never used a laser measure before. Because it can measure such a long distance, the Bosch GLM 15 50ft Laser Measure means that you don’t have to spend hours messing around looking for long tape measures and then even longer on site trying to get an accurate measurement. 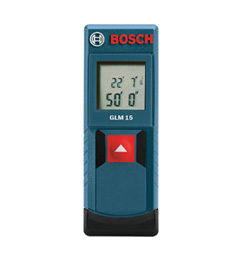 The Bosch GLM 15 50ft Laser Measure is also accurate as well as being compact. It is far more accurate than using a standard tape measure with accuracy being down to within 1/8 inch. 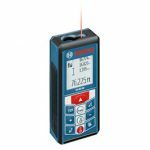 The Bosch GLM 15 50ft Laser Measure is designed so that it is flat and square intentionally to help you get the most precise measurement possible when using the laser measure. You simple place it flat against any surface and it will measure the distance accurately. You can also use the Bosch GLM 15 50ft to measure in any direction you want, it’s not limited to one or the other and you don’t have to spend ages resetting any tape to get a measurement in a new direction.You can select what you want the Bosch GLM 15 50ft Laser Measure to give your measurements in, whether metric or imperial units (meters and centimetersor inches and feet). The square design also means that you can take measurements using the Bosch GLM 15 50ft Laser Measure at a variety of different angles. The Bosch GLM 15 50ft Laser Measure is also a great solution for people who are not interested in purchasing a laser measure that is all singing and dancing as the additional cost of the laser measure that has a lot of different functions that they won’t use. Because it doesn’t have eighty five different modes and memory store functions it is really simple and easy to use and just can be operated by a touch of a button. For those who just want a point a measure, no nonsense laser measure, the Bosch GLM 15 50ft Laser Measure really doesn’t have an equal out there. The screen is quite small on this device though, which is a downside. It can be quite hard to read some of the measurements and if you are not in great lighting conditions you will need an additional lighting source to see all the readings. The size of the screen is the trade-off that had to be made on the design in order to make the Bosch GLM 15 50ft Laser Measure so compact and portable. When using the laser measure in direct sunlight you will be able to see the laser contact point up to 20ft away, it will measure up to 50ft but you won’t be able to see where your end point is measuring to. 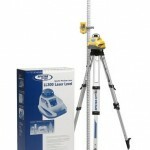 There are some tools you can purchase to help with measuring longer distances but for shorter ones, you will be able to use the Bosch GLM 15 50ft Laser Measure without any problems.You can also use the Bosch GLM 15 50ft Laser Measure to capture one measurement you have taken whilst you do another which makes taking multiple measurements really easy. The Bosch GLM 15 50ft Laser Measure is not as accurate as the more expensive models that Bosch produces, however it is extremely good for the price and it offers workmen who need a simple point and measure device that is very cost effective and can be used by any one. The limited features that the Bosch GLM 15 50ft offers make it something that will appeal to a very select group of people that don’t need it to take and calculate lots of different measurements such as volume, area or indirect measurements. Click here to purchase Bosch GTL3 on Amazon! Spectra Precision Laser LL300-2 Review – Is This The Laser For You?